On the 24th October 1890, William Hillier, Earl of Onslow, the Governor of the Colony of New Zealand stated that approximately 15 acres in the westernmost part of the village of Mangere be set as﻿ide for a cemetery reserve. 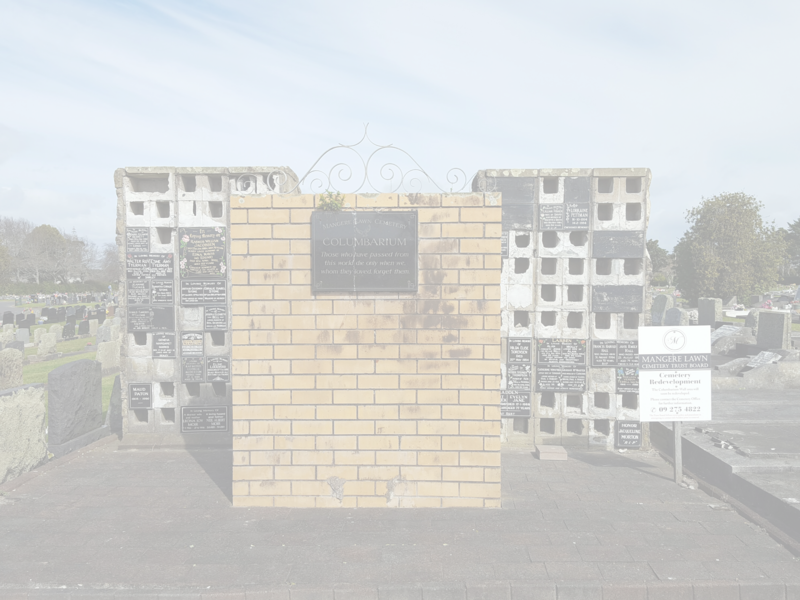 He also appointed James Robertson, Matthew Middlewood Kirkbride, Joseph Ambury, Charles Washer and William Ferguson ﻿﻿Massey as Trustees to provide for maintenance and care of the public cemetery to be known as ﻿﻿Mangere Cemetery. The men appointed to the task were also amongst some of the first European settlers in the Mangere area and served on many other committees in the district such as the Road Board, School Committee and County Council. The commitment from these gentlemen to help establish the cemetery so it can stand proud amongst other parks in the region was immeasurable. Most of them remained Cemetery Trustees until their death. The first burial at the cemetery was of Mrs Louisa Oxenham and took place on 4th November 1894. From 1894 until 1928 the area now known as “North” was the only section used, with burials originally set out by denomination. Archival material shows that the plots were surveyed and renumbered several times. In 1928 the southern side of the “main drive” (South area) was opened for interments. In 1949 the Board moved away from what was then the traditional style of development with full concrete covered graves to the lawn cemetery style which we still use today. They developed two areas just inside Gate 5 on McKenzie Road and are now called Lawn Plaque South and Lawn Headstone South. The cemetery continued to expand south towards the corner of McKenzie & Kirkbride Roads. In the 1980s development moved west on land previously acquired. The chapel & lounge were built as was the crematorium. The first cremation took place in April 1992. The Trustees of the cemetery continue to be diligent and forward thinking ensuring Mangere Lawn Cemetery remains a sacred place for many generations to come.